I was extremely surprised when Capturing the Magic arrived at ImagiNERDing Headquarters. In my almost ten years at ImagiNERDing. I’ve reviewed well over 200 books. During this time, my favorite books have pretty much remained the same: The Nickel Tour; Since The World Began; The Art of Walt Disney World; Realityland; Disneyland Paris From Sketch to Reality; and a few others. Usually, one of the books that I think of most fondly is Gardens of the Walt Disney World Resort from 1988. It’s a photographic journey of Walt Disney World that offers breathtaking photos of the resort, including many areas that simply aren’t there any longer. I go to the Gardens book when I need inspiration or want to get lost and think about the Walt Disney World of a simpler time; a time when Disney books weren’t so slick and driven by marketing. But I’m here to talk another amazing photograph book. 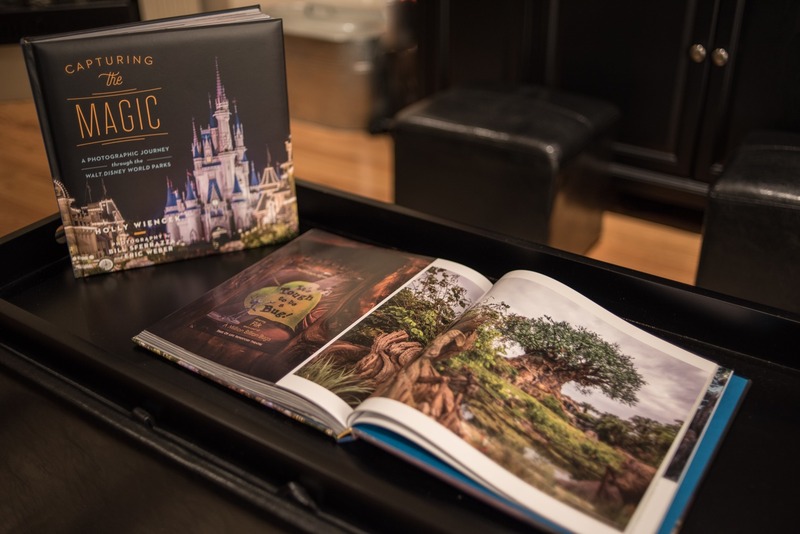 I asked Holly to send me images of Capturing The Magic because I simply couldn’t do the book justice with my photos. The review copy I received of Capturing The Magic by Holly Wiencek took me by complete surprise, even before I cracked the spine. The book has a padded cover that offers just the right amount of heft and makes it feel luxurious. It’s mostly a photo book and I know what you’re thinking: Why would you buy a photo book when there are a million people posting their photos online? Well, there’s just something special about a photo that’s in print versus a digital file. It’s sort of like the difference between vinyl and a CD. The printed photo has a warmth to it, just like a vinyl record. 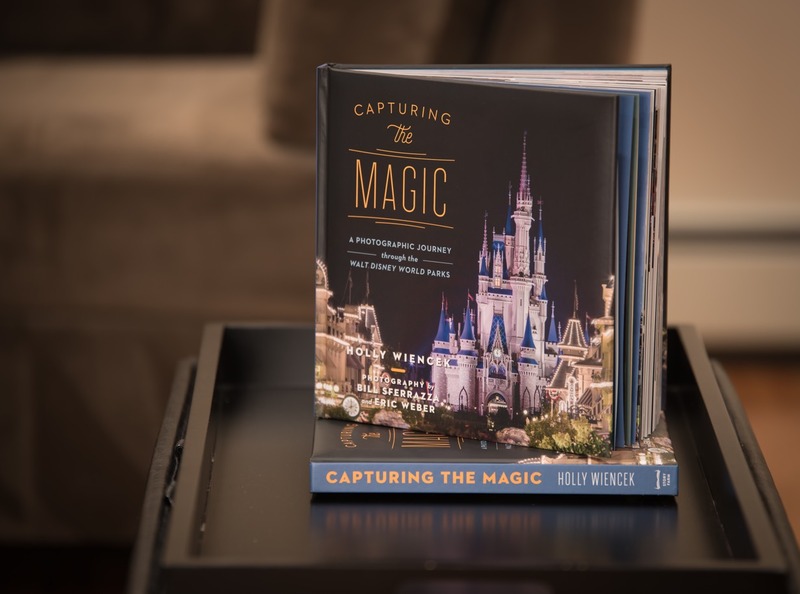 Capturing the Magic has excited me more than any other Disney-related book in a long time. And that’s the real reason that you want to buy this book. The entire 256 page book exudes a warmth that doesn’t disregard the excitement of the subject matter. 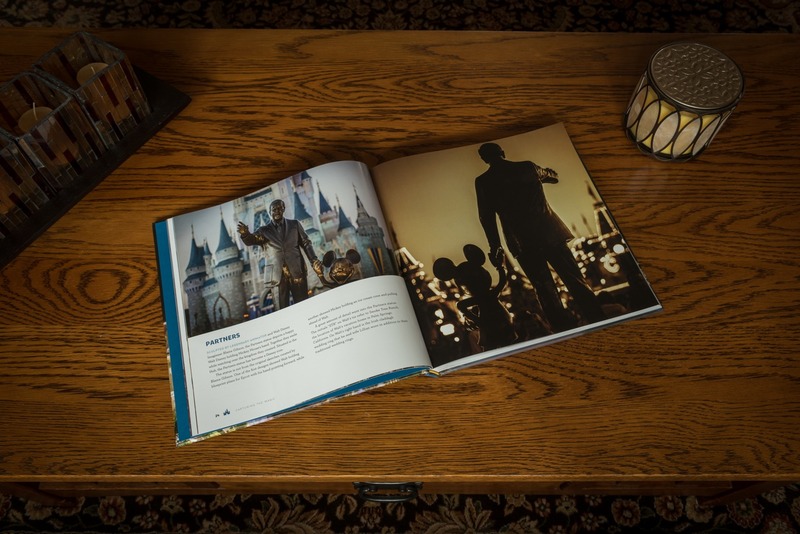 Holly, Eric and Bill took a long look at the theme parks at Walt Disney World to create this book. They visit each park, and in most cases, each land, and devote text and photos. Holly presents a very loving description of the park and the attractions, which makes it more than just a photograph book. She even throws in some nerdy little details. And we love the nerdy little details. The photos span different times of the day and year. A few are at night, with the park aglow and nary a soul in sight. Others have crowds of people surging from one area to the next. Eric and Bill really made a choice as to how they framed the shot and how they presented the image. One note: I really liked that the photos are presented without a lot of Photoshopped HDR. Sometimes, an image is presented in black & white, but mostly, you’re getting the image from the photographer’s eye. I really liked that. As I wrote, this is the type of book that I would love to see Disney and other publishers do more. Capturing The Magic is gorgeous and it’s a treasured addition to my collection. You will spend hours upon hours just gawking at the amazing images. Oh, and I would love a couple of these as framed prints. Just sayin’. Have you read Capturing The Magic by Holly Wiencek? Carowinds Bands, Brews & BBQs! I desperately want a copy of this beautiful book, but it’s not available to buy in the UK! Gutted!